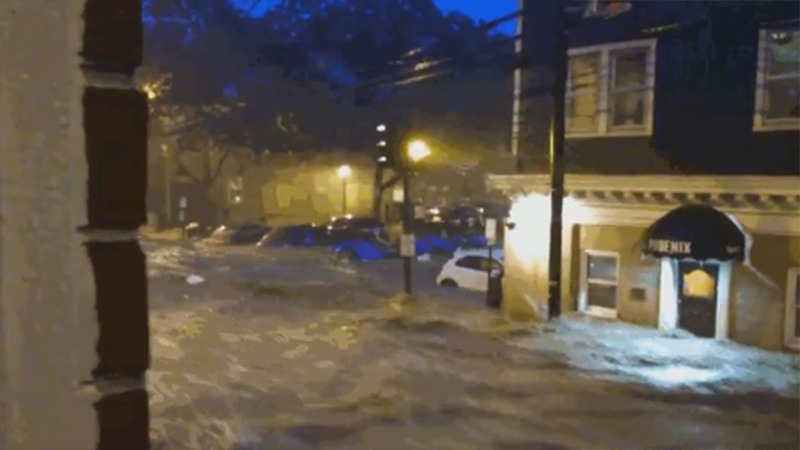 BALTIMORE, MD (KTRK) -- A state of emergency was declared in Maryland after major flooding devastated the area. The torrent of floodwaters on Saturday night swept cars away, damaged buildings and prompted water rescues. First responders had their hands full in rescuing people trapped inside their vehicles as the round of flooding hit Baltimore and neighboring areas. The flooding was caused by more than 5 inches of rain falling in just a couple hours.